Number Lines is the first app released as part of the demografix ‘iPads for Schools’ program. Teesdale Primary School, a school in Victoria Australia, submitted and crafted the ideas, features and functions of the app to suit them and the National Curriculum, while demografix developed and built the app in association with TouchScreenCraft. A percentage of the sales go back to the school as iPads for their classrooms. Number Lines includes a variety of number lines from with multiple combinations (1-20, 20-50 as examples and multiple sequences) that can be used for supporting the teaching of addition and subtraction from Foundation to Year 4. In fact, any number line can be created and the number lines scroll horizontally to provide a true number line experience. Great for illustrating strategies in these functions and includes the ability to be able to “draw” on the screen so that students can track their counting. Used to illustrate strategies such as counting backwards and forwards in the nearest 10’s. As a demografix app it has the ability to create, save and share your own user created number lines, student profiles and includes settings that allow the teacher to hide any external links or to lock the app via a PIN. Lines can be created with a user defined number of minor marks allowing for decimals and large number lines. 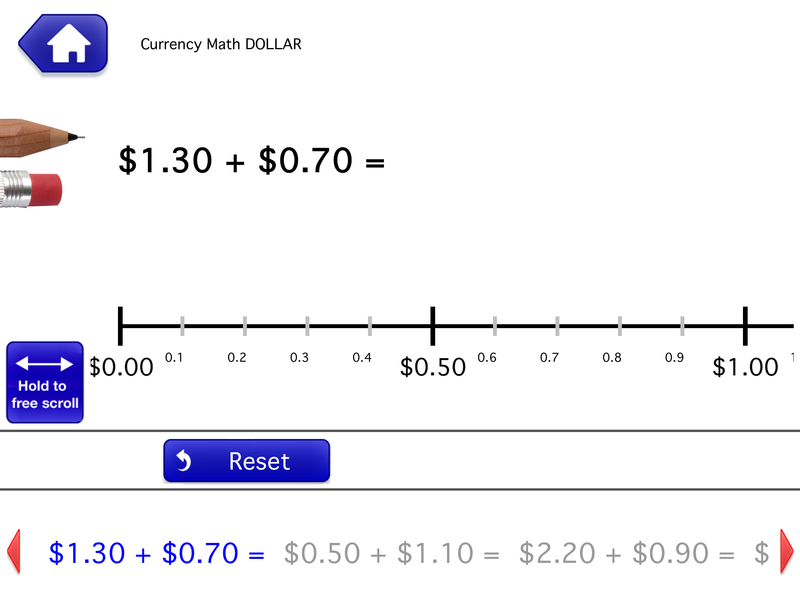 The app also allows for negative numbers and currency lines in four currencies. Teachers can integrate images (how many, what fraction or number recognition) and audio recordings for a rich learning environment. Teachers can enable a student to record an audio answer to outline the strategy being used. Completed lessons can be automatically emailed to the teacher and include the student audio recordings and all student tracings. Paul>> The app idea was submitted from Teesdale Primary School in Victoria, Australia as part of our ‘iPads for Schools’ project. The idea was solid and the staff at Teesdale played a active role in its development. Inside every demografix app is the ability for a school, teacher or student to submit an app idea and we have had approx two dozen submissions. Paul>> Customise and create your own lessons that you can then save and share. What is your favourite page in the app?Paul>> Mmmm…I do not really have one favourite page. I suppose I like the actual lessons screens. Paul>> Maths, Foundation to Year 4. Paul>> 5 to 10 year olds. Paul>> Yes, we have a couple of ideas that we want to add to the app.